The elegant Curving Star and Square Base Crystal Trophy will bring a smile to of all who lay eyes on it! 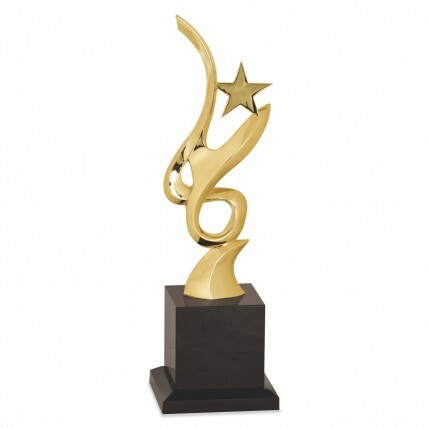 This whimsical crystal award stands 11.5 inches tall and is available in either silver and gold metal. Featuring a smoothly curving figure displaying a shining star, this crystal trophy includes free etching on the black crystal base.